John Ramsey with his wife, Patsy, had been under an "umbrella of suspicion" in the death of their daughter, JonBenet. New DNA evidence has cleared the family of the crime. 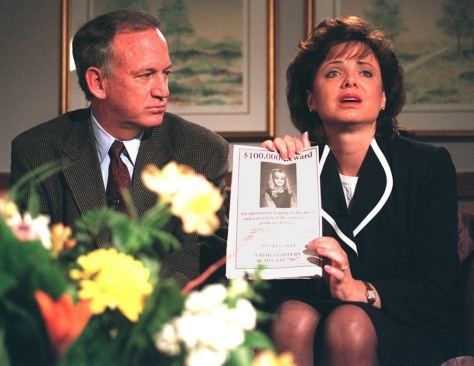 In this 1996 image, the parents appealed for the killer's arrest. Patsy Ramsey died in 2006.